So, here I am in Google! where does this show up? and what does it look like? 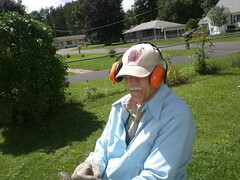 Back in August, before his second pacemaker surgery, dad was out mowing his yard!